People living with dementia are being charged up to 40% more by care home operators, according to the Alzheimer’s Society. A new report reveals people are paying a “dementia premium” for the same care package as other residents. The report reveals residents without dementia pay between £26,000 and £41,600 a year for a care home, depending on location and facilities. Those with the condition pay between £33,800 and £62,400 per year. 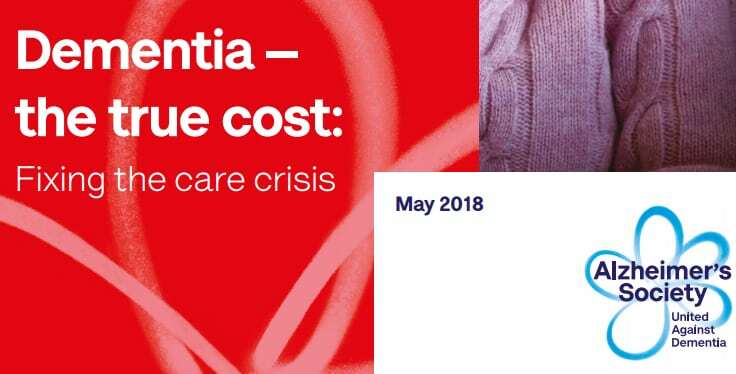 Jeremy added: “Quality dementia care requires time and training and can’t be done on the cheap – but these additional costs should be covered by the state, instead of forcing families to sell their homes and spend their life savings just to get the care they need. Just as we have a Cancer Drugs Fund, we should have an NHS Dementia Fund to protect people from these catastrophic costs.